I love me some Opening Day! Lately, I have been a big fan of salad. It may have even become one of my favorite foods. Now, for those of you that have fallen out of your chairs, rest assured. I would like nothing more at the moment than to go to my nearest steakhouse and order a fillet and baked potato. With Butter. And Cheese. And Sour Cream. Shoot, you can even melt some butter over the steak for me if you want. Yum. Enough about my heart attack on a plate. Back to the salads. I like a good salad, but I never seem to make a very good one at home. I can make one out of a bag of course, but leave me to my own devices and soon I'm mixing ranch dressing and crushed up ramen noodles. BUT...today I did it. I made an edible salad. I was so proud of myself that I just had to share. See, I had a salad yesterday at Paradise Bakery, and despite the fact that one of the fork tongs broke off in my mouth and I almost died from Fork Lacerations to the Intestine, I really enjoyed it. So...I took mental note of everything in it and marched myself up to Market Street last night to buy the ingredients. Again, you don't need to worry about me, because while I was there I felt the need to eat a chicken fried steak. And macaroni and cheese. And mashed potatoes. Anyhow, without any further ado I give you my salad. Don't laugh at how simple it is. *Chopped Romaine...not even from a bag, thank you. *Lite Caesar Dressing...or the hard stuff if you want. That's it. Do you have a favorite salad? Would you like to share it with me? If so, leave it here. But I'm not going to lie. I may decide to eat steak instead. What a fun few days! Friday, I went on a field trip with the 1st graders at my school. 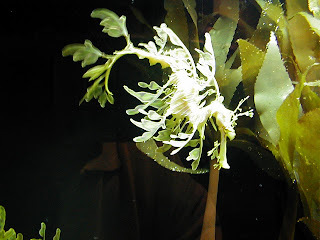 We went to aquarium in Dallas, and it was a blast. I won't lie; it doesn't smell great. But, it is amazing to see all of God's creatures up close. I mean, who but our God could have created this guy? 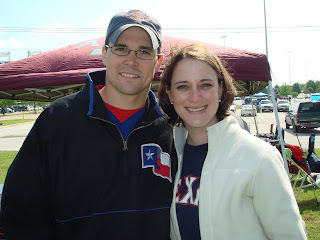 Friday night we went to Arlington, because our friends Zach and Benita were in town. Mike grew up with Zach, and then they worked together at our last church. It was great to get to see them and their cute little boy! We also got to see some of our other old friends. Add in Jessica and Caleb and it was a great time! I will not tell you about the crazy people sitting in the back room with us, because it would not be an edifying conversation. But I will say that when Mike said the prayer he had to SCREAM to even be heard! Last night we went and ate pizza after church with our friends Caleb and Chelsea. After I read about this place on Lauren Stewart's blog, I just had to try it! It didn't take long to convince everyone to go with me. Totally worth it! I hope that next weekend will be just as fun. Between Eli's arrival (yay!) and Opening Day Monday, I'm sure it will be! And I'm sure I'll have more food to tell you about. 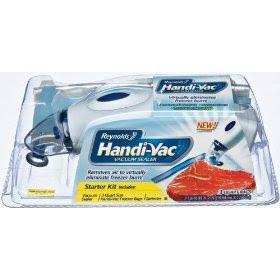 Every once in a while I buy something I just really like, and the Reynolds Handi-Vac fits the bill. It is a small, battery operated way to vaccum-seal your food before you freeze it. So far, I am a big big fan. I HATE when food gets freezer burn. It's just gross. Plus, it seems like the food defrosts a lot faster when I use the Vac. That's what I call it for short. It's just a cute little name I have. I got mine on sale at Target, but I have seen them everywhere. I don't use it for every little thing, but I do take my meats out of the store containers and put them in the bags. So...just thought I'd share. But don't take my word for it (cue Reading Rainbow music here). The fact that I am getting ready to go grocery shopping must mean that Spring Break is almost over. Boo. It was great while it lasted, though. Thursday I got to go back to A-town (that would be Arlington) to hang out with two of my favorite people: Jessica and Mr. Caleb. They are always a good time. Probably because we are very content to sit on the couch together and do absolutely nothing! Perfect. At first, I think Jessica and I kind of became friends out of necessity. We both had really great friends in college, but then we came home and realized that none of our friends came with us. 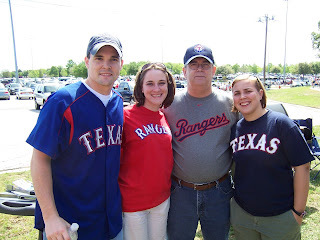 Mike had grown up with her family, so we naturally began hanging out and lamenting the fact that we didn't really have that many friends back in good ol' A-town anymore (that's apparently what I call it now). It turned out, though, that we actually had a lot in common...besides our love of sitting on the couch and watching movies. We have a similar love/hate relationship with working, we do love a good trip to Pottery Barn, and we both could school anyone at Friends trivia any day. Now, I count her among my very best friends, and moving away from her was really hard! It didn't help that I absolutely ADORE her son Caleb. I will never forget that night on the elevator when she confided in me that she was pretty sure she was pregnant (and that she had taken over 7 tests just to make sure). Ha! Okay, back to Spring Break. On Thursday, Jessica and I took Caleb to Build-a-Bear and it was HI-larious. He didn't really "get it" per se, but he still had a great time making "Pony." He obviously named him too! When I was growing up, I loved the American Girl books. I read them all, and sometimes I would get the doll catalog in the mail and go through and pick out which one I wanted. I never got one (when it came down to it those dolls were never a priority on my wish list), and I can't say it really mattered to me. 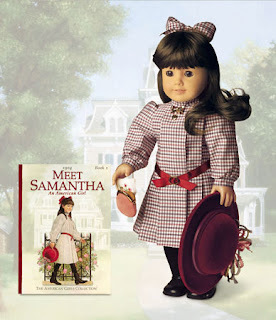 Now, with the American Girl stores, you see more and more girls with these dolls. Go to the Galleria in Dallas, and every other girl is walking around with one. This is totally understandable because there is an American Girl store there. The girls can bring their dolls, get them new clothes, and even have a tea party with them. I am not going to lie...I would totally go sit in the cafe and eat with the dolls. That being said Mike and I couldn't help but roll our eyes a little bit last night. Last night Mike and I were at Chili's and two girls (probably about 10 years old) came in with their moms. The girls got their own table across from their moms, but that is fairly common. I noticed that the girls had their AG dolls, and I thought they were cute. Then, the waiter had to bring two highchairs for their dolls to sit in. Oh, yes siree. High Chairs. At Chili's. Am I the only one that thinks this might be going too far? Now I know that I would probably feel different if my own children were totally into their dolls. I don't know. But the fact that I couldn't even walk through the walkway without scooting past dolls in highchairs just made me laugh. Seriously. I love me some Spring Break! Having the time to go hang out with friends is so great, and my usually overflowing laundry basket really appreciates the time off. Part of the reason Spring Break is so wonderful is because it's a break from the normal, but I think I could totally get into this kind of normal. Ha! Anywho, the past two days have been super fun. I have been to Watters Creek (home of the Vera Bradley store) twice already! Yesterday, I went with my best friend from high school Holly and her cute son Brayden. Holly and I haven't really gotten to hang out a lot over the past few years, but now that we live in the same area it's a lot easier to get together! Today, I met Katie and Annie for round two of food and shopping. Annie was super cute and slept the entire time, which gave her mom and I lots of time to chat and catch up. Katie had never been into Vera before (very surprising since her family loves all things Vera), so we had a great time there. Not to mention all of the Mi Cocina we managed to eat. A little ice cream and shopping later, and we were good to go. Annie with her first Vera purse. Green to match her super cute St. Patrick's Day outfit. Katie showing off the "I Was Never Meant to Work" logo. Seriously...I could totally get into doing this every day. A little something for all of you LOFT fans out there. I think they changed their teacher rewards program, and it was fabulous. All I had to do was show my teacher badge and I got 15% off my entire purchase. I got some great deals (like 50 to 80% off), so check it out! Oh...and I got some gladiator sandals. I never thought I would buy any, because they look silly on my foot with that super long strap. They are coming out with some different styles, though, and I just really liked these. I know at least half of you are thinking they are pretty ugly right now, and that's okay. They are definitely pretty different, but they were just so comfy and weird that I liked them all the more. It was about this time last year that I realized that this whole getting pregnant thing may be a little more complicated than I had originally thought. I knew that it could take a while, and I had a feeling it wouldn't happen right away. I have to say, though, that I had no idea that a year later, we would still not be any closer to becoming parents than we were. I guess I can't say we aren't any closer. 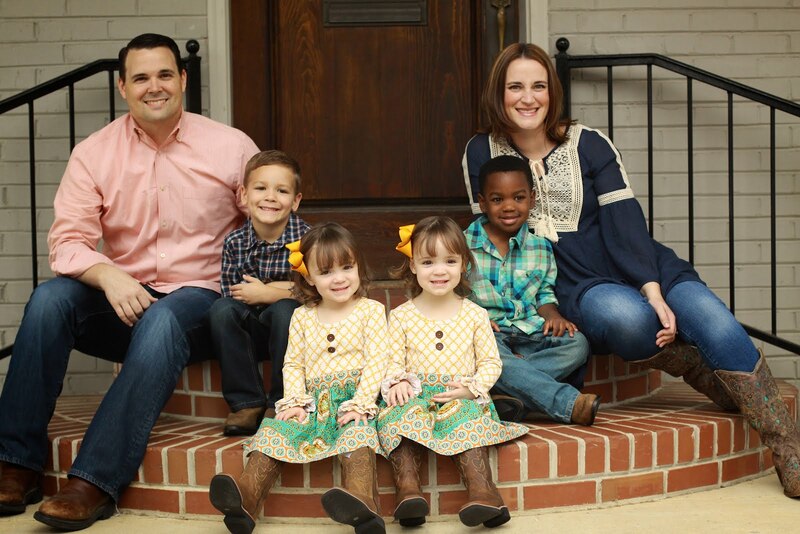 But at this point, we are still labeled "inexplicably infertile." That's never fun, but what are you gonna do, you know? One of the funniest things about infertility is that you can't really keep it a secret. Your boss kind of wants to know why you keep taking off at the same times each month, and honestly I've never been very good at secrets. I am much too chatty. We decided after a year, when we first started treatments, that we would much rather share our journey with people. We know now that so many people are praying for us, and it makes all the difference. I have no doubt that my relationship with and understanding of our loving God has grown through the past months. There are so many decisions and choices to be made in the world of infertility, and I pray daily that God will lead us down the path He has chosen for us. I know that there is a chance that God's plan for us may not include having a child naturally, and that's okay. I am not saying it doesn't make me sad sometimes, but it's okay. Who am I to argue with our God? What I do know is that God has a wonderful plan for our lives, and that whatever it is will bring glory to His name. And what more can we ask for? Anywho, enough rambling for today. I did have to brag on my very cute sister, who sent me an "encouragement" package after our treatment failed last month. How cute is she? She knows me well. And yes, now I have all three High School Musical movies. Whoo hoo! Come over and watch sometime. 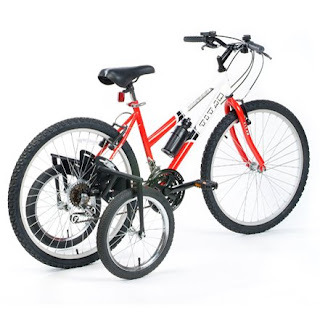 Forget the bike with training wheels. I have a new nemesis. Last night, I was supposed to Zumba, but the instructor cancelled. 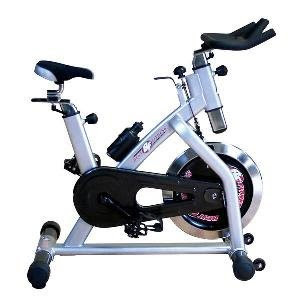 Some ladies encouraged me to go to the spin class, so I thought I would try it out. I took one step into that loud dark room and quickly turned on my heels and darted out. The ladies caught me, though, and assured me I could do it. One hour of pedaling like a crazy person later, I actually felt pretty good. And except for the bruises on my backside today (okay, I may be exaggerating...but not really), I still feel pretty good. Will I spin again? Oh yes...but maybe with some padding. Sticking with my "cableless" post from yesterday, I would like to go on record and say that I used to spend a lot of time outdoors. Not so much anymore. When I was little, I remember riding the ol' bike around the neighborhood a lot. I still have some scars to prove it. There's a reason my nickname was Boo Boo Amanda growing up. Well, now it's been about, oh, 17 years since I have been on a bike. I'm pretty sure that I tried to get back on one back some years ago and couldn't for the life of me remember how to steer it. Well, every once in a while I decide that Mike and I should really get bikes and start riding them. And every time, Mike very gently reminds me of what a horrible idea this would be. Mostly because I would end up either in a ditch or a body cast. And he's right. Have I ever told you that I didn't have cable growing up? And did I mention that my mom pretty much ordered cable the day I left for college? I didn't think so, but it is important in this story. (And no, I never really missed cable...And yes, mom, I know how lucky I was to grow up in your house). So I was sitting at school today when I thought of something that hasn't entered my mind in years. Seeing as how I didn't have a plethora of channels to choose from growing up, I was a big fan of PBS. Nothing like a little Public Broadcasting. I digress. Anyway, the thing I remembered. Ghostwriter!!! Oh my word, I loved that show. Basically it was a show about kids who solved mysteries with the help of a ghost who could only communicate with them using whatever letters he can find. So...if they were in a classroom, he would use the letters on posters, etc. to form words. Get it? Good. I used to LOVE LOVE LOVE this show. 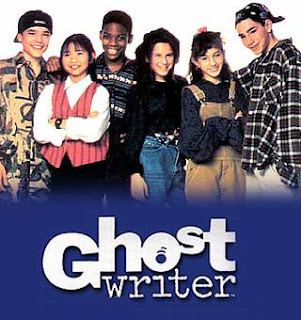 All the kids who could "see" ghostwriter's words got to wear special pens just in case they had to communicate with ghostwriter and the other team members. Whenever they had to meet up, they would write RALLY and everyone would come running. And yes, they encouraged kids to keep up with the mysteries and the clues in their own ghostwriter journal. And don't think I didn't. Sigh. I miss those days. So, am I the only person in the world who remembers this show? Probably so since I haven't thought of it in years. Oh well. Maybe some day they'll bring it back like 90210. One can dream. I have written and deleted two posts in the past two days...apparently my creative genius has taken a beating. Anywho...I'll try again soon. Don't worry...I'm still here.